12.January.2018 : The new year opened with the most wonderful news. After years – literally – of investigation and quiet negotiation, the Chain of Jerries has, within the past week, been recovered. 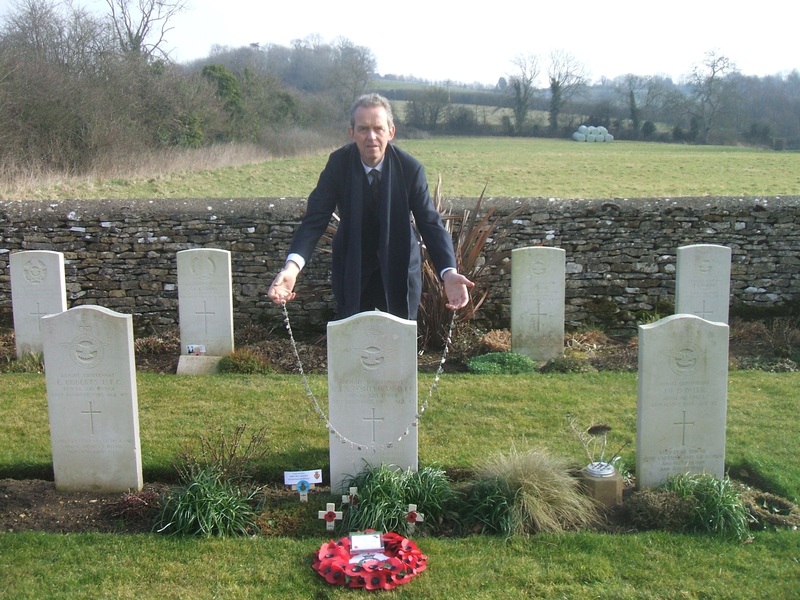 21.February.2018 : A modest gathering took place in the Cotswolds to mark the 50th anniversary of the death of Kevin O'Sullivan DFC whilst he was stationed at RAF Little Rissington. 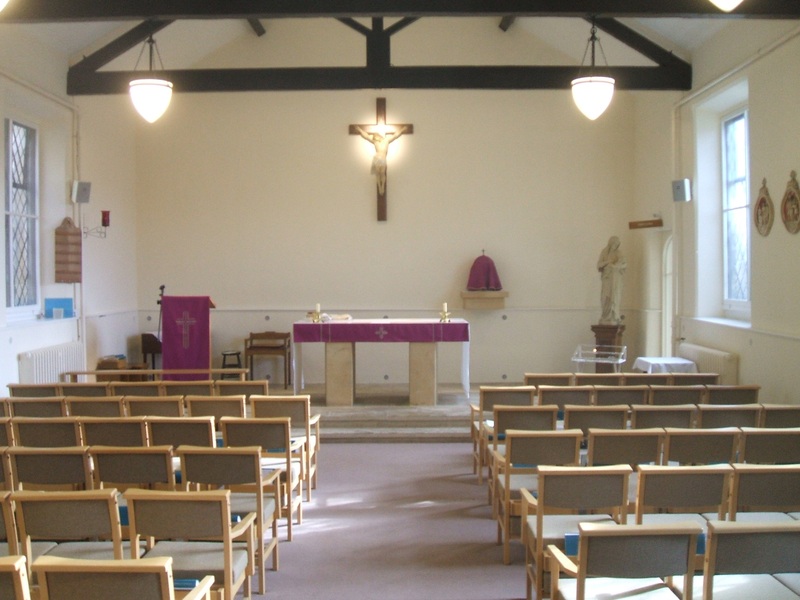 At 10:00am Mass was celebrated at the Catholic Church of Our Lady and St Kenelm, Stow-on-the-Wold, dedicated by Father McCarthy to the repose of Kevin's soul. The original intention was to have lunch in Stow and then proceed to Kevin's grave in the CWGC portion of the cemetery at Little Rissington. 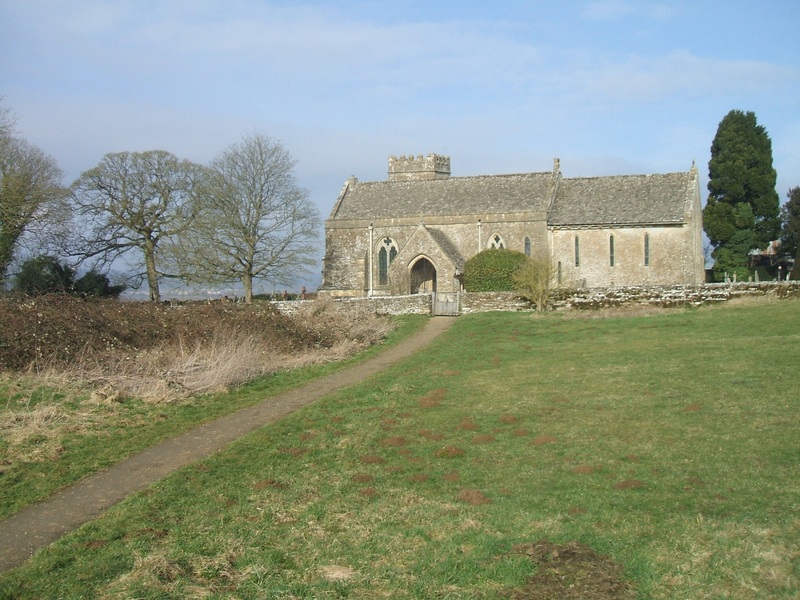 However, the weather showed signs of deteriorating and so, with all those expected already present, two cars immediately proceeded to Little Rissington to do the honours there. All but one of our number then returned to The Sheep on Sheep Street in Stow for lunch, where the Chain of Jerries was produced for inspection and discussion. By mid-afternoon the sky had darkened, an easterly wind had picked up and a few sleet flurries were blowing about – apparently justifying the change to the timetable. 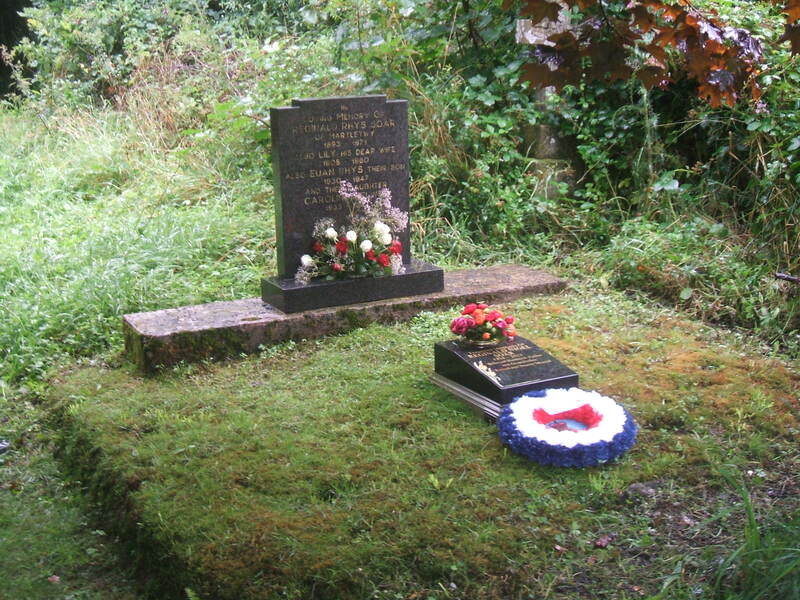 Thanks due to Steve Kingsford of the Chipping Norton branch of RBL for representing the Legion and for adding their tribute to the grave. For our part, we were honoured to represent absent family members Gillian (residing in Australia) and Josephine (residing in New Zealand). 21-26.April.2018 : Our most ambitious gathering yet, a six-day expedition to Serbia, proved to be a resounding success thanks in large measure to the exceptional planning and organisation carried out by Tony Summers. The preliminary edition of a fully illustrated report now appears on this website, linked from the Site Map page. Suffice it to say here that eleven of us were very cordially received in both Ram and Kovin. What we discovered was that some confusion exists in local folk memory – was only one aircraft shot down, or two at the same location on slightly different dates? If there was a second Allied aircraft lost, reported by one local as a Liberator, it is yet to be identified. This confusion, along with apparent discrepancies in the casualty records of the 255 crew members, leaves scope for further enquiries. 01.August.2018 : Being the first of the month, there’s a new release of documents by The National Archives. Today’s batch includes two CASREP files relating to 255 Squadron, both from the summer of 1941. No fatalities in these incidents, just injuries, thus proving that we will in time get some information about those wounded as well as those killed in WW2. More detail in the new footnote just added to the Roll-of-Honour page. 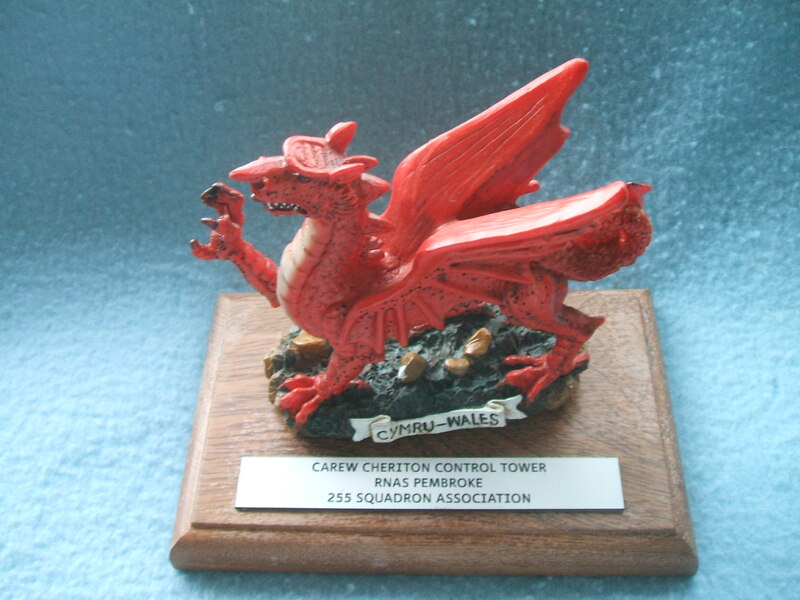 11 August 2018 : 100 years on from the Squadron’s original formation during WWI, there was a gathering at the site of RAF Pembroke (since re-named RAF Carew Cheriton) in West Wales. The date of Saturday 11 August 2018 had been chosen to coincide with the site’s "Wings over Carew" event. Activities were expected to include a Spitfire fly-past and a parachute drop by The Falcons RAF Display Team. Unfortunately the weather forced cancellation of a number of the outdoor events, although the Fire Service crash rescue demonstration went ahead as planned as did the indoor events. With near-continuous moderate to heavy rain and a cloud base at times as low as 300ft, flying was out of the question. By way of formal commemorations, a 255 Squadron poppy wreath was laid at the war memorial on the airfield and a car convoy to Martletwy conveyed Air Commodore Adrian Williams, OBE, ADC, many members of the Soar family and your scribe to 255’s first CO’s grave. 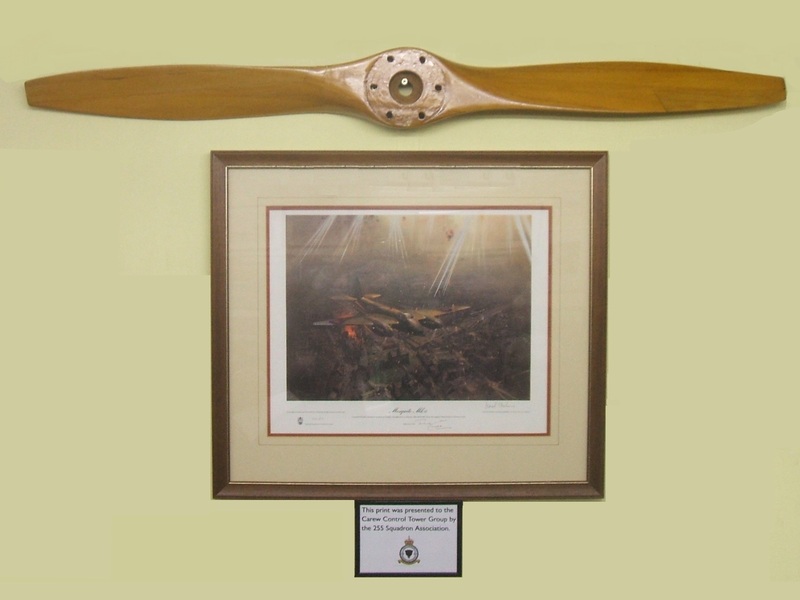 There, the whole story of Rhys Soar’s flying career – RNAS and RAF – was recited by the RAF’s most senior officer in Wales, for whose presence and active participation we are very grateful. 2. Why are some closed for 82 years and others opened after less? If a record is closed because it relates to an individual who is assumed to be living, the closure period is based on the individual’s age if this is known. If the age is not known, the personal information in and the contextual evidence of the record may be used to estimate an age and therefore the appropriate closure period. Such reasoning is recommended under the Code of Practice for Records Managers and Archivists under section 51(4) of the Data Protection Act 1998. Contextual evidence within the AIR 81 series suggest that the individuals named within the files were at least 18 years old. The closure period has been based on the lifetime of the individual, which is assumed to be 100 years. As such the records are closed for 82 years to cover the remainder of the assumed lifetime of 100 years. Those files which have been opened before the expiration of the 82-year closure period have been subject to Freedom of Information requests in which the sensitive information has either been redacted or the individuals named within the files have been found to be deceased. ...which all seems very reasonable until one realises that in some instances the casualty files themselves contain a unique whole-crew record of individuals involved in any given incident. Putting together a reasoned and reasonable case for opening the file therefore becomes problematic. AHB charge £30 to open each file, and getting one in unredacted form involves evidencing the death of each and every name appearing in the closed record in advance of seeing it – not easy! 19.Nov.2018 : 255 Squadron featured on The History Channel in a one-hour TV programme devoted to the Hull Blitz, the loss of Defiant Mk.1 N3333 in May 1941, the recent recovery of the wreckage from a field in rural Lincolnshire and the biographies of the surviving crew. This included a guest appearance by our Association member Christine Ballantine, who flew in from the west coast of Canada in order to take part. There's a write-up on this blog: https://stephentaylorhistorian.com/2018/11/19/ww2-treasure-hunters-season-2-bolton-paul-defiant/. Christine is keen to point out one error – she wrote the synopsis of her father’s life, not the programme’s editors! A number of our members not possessing either satellite or cable TV, not everyone has yet seen this. It is hoped that, in time, it will be repeated on Freeview. December 2018 : We are pleased to welcome to the fold Wingleader Magazine, the introductory edition of which features, commencing at p.27, a fully-illustrated account of 255 Squadron’s loss of Defiant N3333. Readers of this website are encouraged to visit www.wingleadermagazine.co.uk and download the free introductory copy.